Aside From Shaving, What Other Ways Can You Do To Remove Your Overgrown Mustache? Are there other ways of removing your mustache aside from shaving? Maybe you ran out of shaving blades. Or you got bored of shaving and you want to try out something less boring. Well, there's this man named Mehdi Sadaghdar who explored alternative ways of removing his mustache. 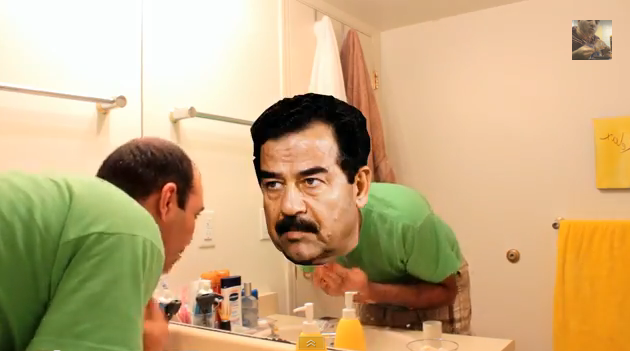 After growing the mustache, he felt it was a bad idea because sometimes he looks into the mirror and see not himself but a deceased dictator. It does make him look like the great Freddie Mercury as well and that's a plus. But the mustache has to go. So he tried getting rid of it. Without shaving of course.